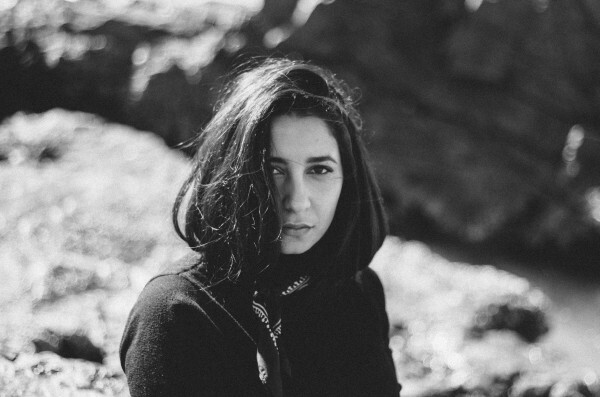 Wafia Al-Rikabi is a 22-year-old songwriter based in Brisbane, Australia. She’s currently working on an EP called XXIX, out November 20 on Future Classic. So far, she only has a few songs out, but her track record is flawless. Her cover of Mario’s “Let Me Love You” is excellent, and her collab with Ta-ku on “American Girl” has over half a million plays in less than two weeks. But on “Heartburn,” also produced by Ta-ku, Wafia establishes herself as a unique new presence in forward-thinking pop music. She’s got an ear for interesting production, and she’s got the gorgeous voice to match it. Can you introduce yourself with some of the basics—who are you, where are you from? My name is Wafia and I am both Dutch and Arab, but I currently reside in Australia. I started making music about four years ago, but the last two years have been the most clear and vivid I’ve ever felt about what I create. The past couple of years have entailed me working with a handful of people that I trust dearly and workshopping ideas back and forth. What kind of music did you grow up listening to? What do you listen to now? My parent were nomadic and enjoyed traveling for the first 11 years of my life, so the only thing that was ever consistent in my life and travels were the pop radio stations, and my parents favorite Middle Eastern tunes. Now I listen to a lot more hip-hop and R&B. Right now my favourite act would have to be The Internet. How did you link up with Ta-ku? What was it like working with him? Do you guys work together in the studio or is it back and forth over the internet? And what about Future Classic? How did that come about? Future Classic came about very organically after working with some of their artists for my EP like Ta-ku & Thrupence. I know they asked Thrupence to hear the EP when it was still in demo form, but I was pretty firm in not showing any labels anything until it was 100% complete with imagery and everything. It was a ‘take it or leave it’ sort of thing for any label that approached, and when FC finally heard it, they took it. They understood what I wanted to do and my POV that I wanted to share in my music. They took me and the music for what it is. Where did the name Wafia come from? Wafia is my birth-name. It’s an alteration of my grandmothers name and means loyalty and humbleness in Arabic. “Heartburn” is a beautiful introduction. Can you tell us a little about that song and what you were going through when you wrote it, or what you want people to take from it? Thank you. “Heartburn” was written with my good friend Ben Abraham and became the first of a string of songs we’ve been writing together. It was written when I was going through a rough patch with someone, and it made it incredibly hard to see them. The song travels through a narrative where 1) you knew the relationship was doomed from the start but refused to accept it until now 2) having to see this person in the fresh period after separation had occurred 3) maybe even, regrettably so, still being in love with them.